The chimney was at least 5 storeys high and we know from local resident’s memories it was demolished one brick at a time. 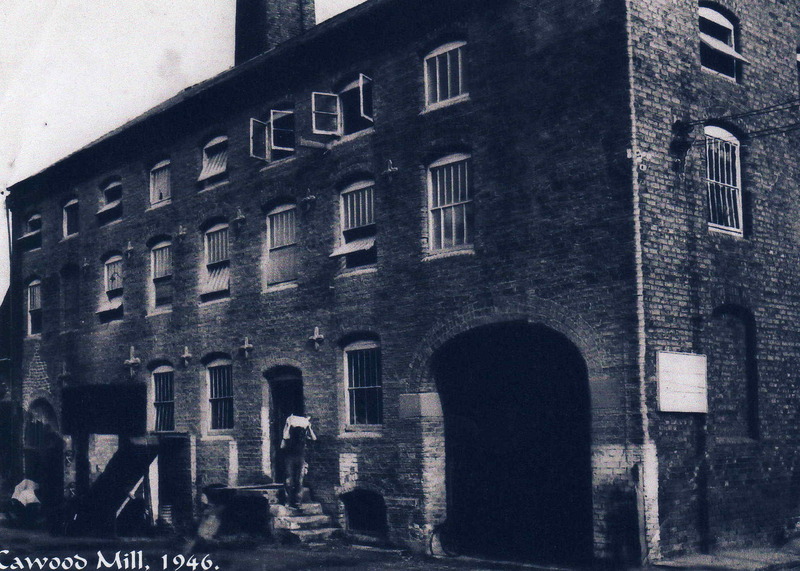 Called the Perseverance Mill it was built in 1852 as a corn mill ……………see photos of mill with date on the front………. 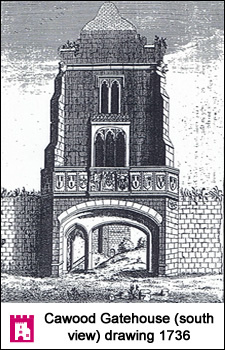 Built by Matthew Smith who lived in Compton Court then called Ryther House and Mr. Thomas Smith who lived in Mill House, Water Row. Matthew and Jasper Smith were corn millers in 1837 and in 1887 Matthew Smith and Thomas Smith were classed as Corn millers and Seed Merchants. In the yard were stables for the horse and a boiler house. It was first operated by steam then gas was tried but proved to be uneconomic. When the mill was being constructed in 1852 a bore hole was sunk to obtain fresh water below the mill. There was also a pipe going into the river from the site which passed through a gateway at the side of a house on Water Row. The flour mill was quite a sizeable building with at least 3 floors. Mill was closed down about the beginning of the First World War due to the lack of being able to get a spare part for the mill from Germany! 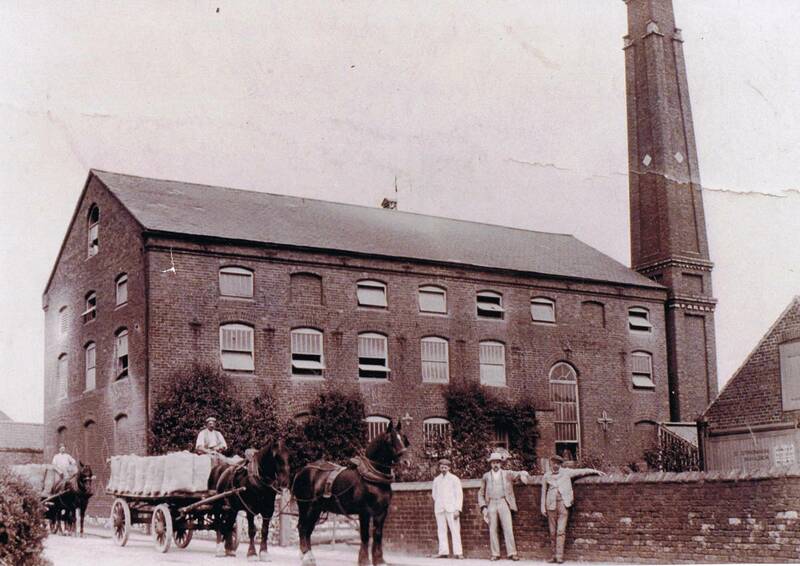 After the war it was a chocolate factory for a while possibly making chocolate cream whirls employing people from the Cawood, Kelfield and Wistow. Interviews with local residents say they took waste chocolate out of the bins on their way home from school. 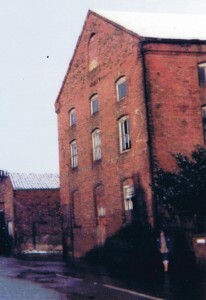 During the WW 2 soldiers were housed in the building. After the war it was empty for a long time. due to the bad access onto Thorpe Lane. The mill was burnt down on the 13th November 1980. The cause of the blaze was unknown. There was too much damage to reveal any evidence of how the fire started. Villagers raised the alarm just before 10pm and firemen from Tadcaster, Selby and York fought the blaze before it was brought under control. More about the Mill fire..
At one time there were fears for the safety of the nearby buildings. Villagers were advised to keep windows and doors closed but firemen prevented any further spread and no-one was evacuated. The latest one, Mr. Walton said he knew four people who wanted to build on the site. He has also been refused planning permission to use the mill for storage, light engineering and agricultural machinery work. As a result the building had continued to deteriorate and he had been warned action was needed to prevent danger to residents nearby. He said “ I went down every month to nail up the windows. But each time it was knocked down. It has just been a playground for kids. During demolition the chimney was taken down a brick at a time….must have been a lot of bricks I wonder if they were locally made?